Celebrate with a Dromoland Castle Gift Card, perfect for an anniversary, or birthday gift, to say ‘Thank you’ or simply to treat someone special. 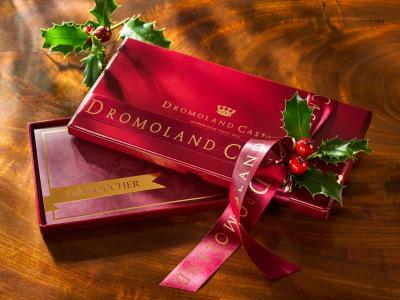 For inspiration on what to buy the ones you love,look no further than an amazing experience at Dromoland Castle. This is rather a special place which makes it the perfect setting to mark that special occasion. These vouchers are designed with celebrations in mind - for him and her. They not only reflect the beauty of the place, they also highlight just how much there is to enjoy in this world famous resort. 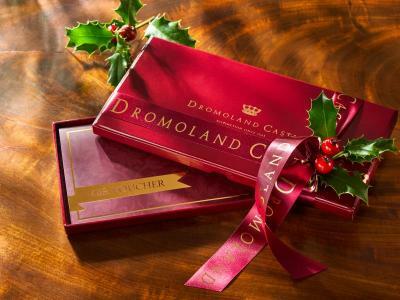 The Dromoland Gift Card is the perfect Gift and can be used in any area of the Hotel, including Accommodation, Food and Beverage, Spa and Golfing at Dromoland.